I've been working lately on better Gamepad API support in Chrome (call it my "20% project"). 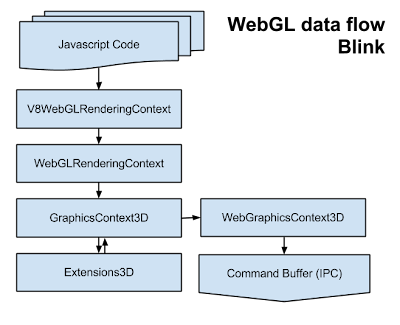 It's been a fun change of pace from WebGL, primarily because it's much more straightforward code. In the process of learning the ropes, I decided to try something a little crazy: I noticed that our code path for supporting the 360 controller on OSX didn't rely on any drivers, but instead used IOKit to parse the data packets manually. (Check out that code here.) So I figured, hey! Why not try the same thing with the Xbox One controller, ignoring the fact that it's currently supported on exactly zero non-console platforms. Somewhat unexpectedly, it really wasn't too hard! That was 8 months ago, and I've been busy in the mean time! So let's take a quick peek at the current state of affairs.